Samsung said Thursday it has developed an "unbreakable" and flexible display that may soon be used in smartphones and other gadgets. Unlike traditional smartphone displays, which are typically covered in glass that can be prone to cracking or shattering, Samsung coats its new panels with a "fortified plastic window." The solution didn't break in drop tests from 4-6 feet, Samsung said, which is why it's making the "unbreakable" claim. Samsung says its claims were tested and verified by Underwriters Laboratories, a company that does testing for the U.S. Occupational Safety and Health Administration. 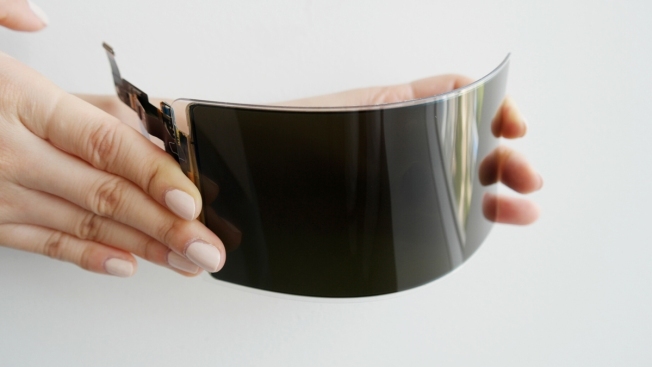 Samsung and other phone makers typically use glass provided by Corning to cover their displays. Corning's latest technology, Gorilla Glass 6, was announced earlier this month and will be used in new phone models. It's also less likely to crack or shatter from dropping, but it's not flexible like plastic. Phones are about to get stronger with Corning's new Gorilla Glass 6 — here's how it's made from CNBC. Plastic has been used in smartphones before, but it has some downsides. Motorola's plastic "ShatterShield" screen prevented some damage to smartphone displays, but they were more prone to scratching than glass displays. Samsung's new screen is likely to make a debut in its foldable smartphone. Samsung said last year consumers should expect it to launch sometime in 2018.